Photo by Gwenevere Young Copyright 2000 Isle Vista has a very nice cocktail lounge, serving up all your favorite cocktails and beer. 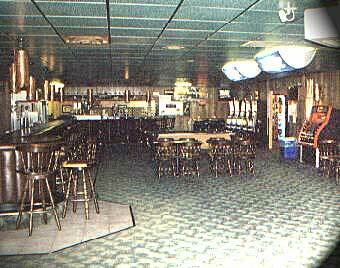 The spacious lounge has a pool table, slot machines and a dance floor. On many weekends Isle Vista casino offers a live band for dancing and relaxing. This complements the casino greatly, offering additional fun things to do. My companion and I had a great time dancing at Isle Vista. This is a casino that hasn't forgotten a thing when it comes to your entertainment.